Browse: Home / 2017 / January / Research Summary: How Can Under-Resourced Families Access Early Autism Intervention? A Pilot Study. 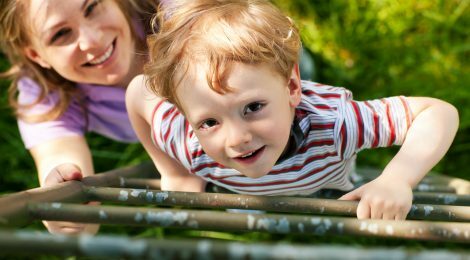 Research Summary: How Can Under-Resourced Families Access Early Autism Intervention? A Pilot Study. Modifying early autism intervention programs can lead to more engagement from under resourced families. Early intervention is an intensive and effective therapy to support children with autism. Families that have low income and/or limited education face barriers to accessing early intervention. These barriers include lack of service providers within their communities, costs, and cultural factors. Ways to address these barriers include engagement (e.g. providing transportation, having home-based sessions) and empowering families (e.g. individualizing care by knowing the needs and strengths of each family). In this study, the researchers modified an established early intervention program for under-resourced families and identified challenges and opportunities for these families to receive early intervention services. The researchers recruited families that were below the poverty line (average annual income = $18,300) whose caregivers had less than 2 years of college education. Referrals were made through local health clinics, schools and community agencies. The 8 children with autism that completed the study were between 18 and 42 months. The evidence-based intervention (Early Social Interaction) was modified to be more accessible to families by focusing on barriers to access (e.g. in-home treatment sessions, travel compensation for assessments), decreasing the number of people who may drop out (e.g. shorter program, flexible cancellation and rescheduling), and promoting change within the families (e.g. actively enrolling families in all eligible community-based resources by making phone calls, filling out paperwork etc.). Families participated in 24 sessions (2 per week, 60 minutes each), where caregivers learned to promote social-communication skills with their child. Seven of 8 families completed all 24 treatment sessions and the last family completed 21 sessions. The length of time to complete the program ranged due to many session cancellations rescheduling (from 2-20 rescheduled sessions per family). The most common reasons for cancellation were mother/child sick (27%), family emergency (14%), child sleep problems (11%). There was a wide range in the amount of time caregivers used treatment recommendations during the week (6-22 hours, averaging 12.8 hours). After completion, caregivers reported that they gained an increased understanding of their child’s impairments, including acknowledging features of autism and having that impact of their expectations of their child. Several said they see their child’s behaviour differently now and think of how to modify their child’s environment to help. Caregivers also reported that in-home sessions often conflicted with work schedules and there was some discomfort around a clinician visiting their home. At the same time, all the caregivers self-reported positive behavioral change and in their child’s ability to communicate and adjust to unexpected situations. Identifying barriers and facilitators of service access to underserved populations is important for their care. This pilot study showed that having a flexible cancellation policy allowed for continuity of treatment for these families that had many scheduling changes. In-home sessions, reducing travel and actively providing community resources facilitated engagement for families that are typically underserved. Further research will test the effectiveness of modified early intervention programs for under-resourced families. This research took place at the University of Michigan Autism and Communications Disorders Centre in Ann Arbor in the Department of Psychology. Themba Carr (PhD) is currently at the Centre for Autism Research and Treatment, Semel Institute for Neuroscience and Human Behaviour, University of California, Los Angeles. Catherine Lord (PhD) is currently at the Centre for Autism and the Developing Brain at Weill Cornell Medical College, White Plains, New York. Carr, T., & Lord, C. (2016). A pilot study promoting participation of families with limited resources in early autism intervention. Research in Autism Spectrum Disorders, 25, 87-96.